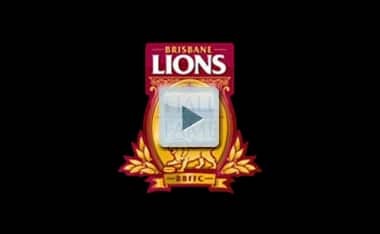 A total of 275 players have played for the Brisbane Bears and Brisbane Lions, but only one has polled three Brownlow Medal votes on debut. Darryl White. It was against Carlton in Round 1 1992. He was a skinny 19-year-old kid deployed by coach Robert Walls as an undersized makeshift ruckman. Two weeks later he collected three more Brownlow votes against Fitzroy and kicked the AFL Goal of the Year. Not just Brisbane fans but football fans across the country quickly fell in love with the genius utility from Alice Springs. It was a love affair that would endure through 14 years, 268 games, three premierships, six top 10 club championship placings, Australian International Rules selection, a key leadership role, Life Membership and countless moments of freakish athleticism and sheer exhilaration. It’s a mutual thing. Chosen at fullback in the AFL Indigenous Team of the Century and a wonderful inspiration to his people. 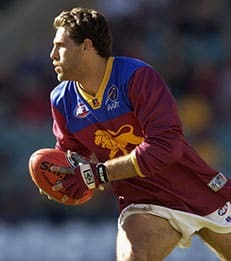 And he’ll forever be a proud and richly deserving member of the Brisbane Lions Hall of Fame.